Everything that could be said has been said about this crazy part of the world I live in, and once again, all eyes are on the Middle East (this time on the right place) with the anticipated attack of “the west”, lead by the US, on Syrian targets. 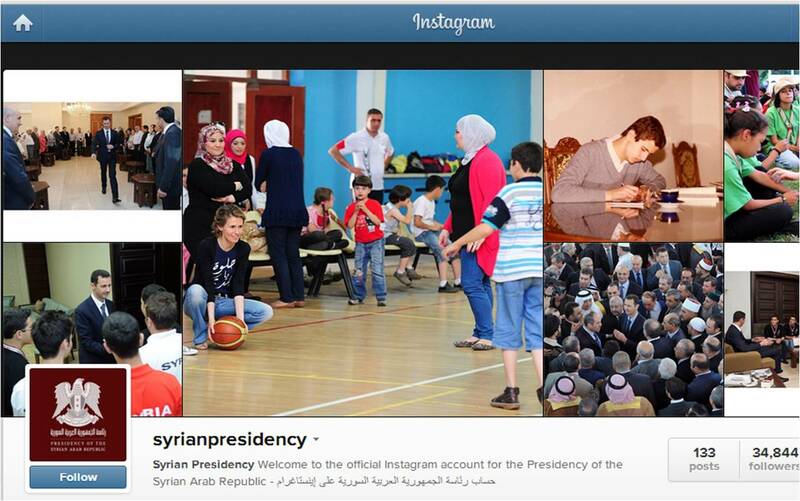 Yet, the only sign of anything being wrong, as far as Assad goes is the fact that his Instagram account hasn’t been updated in nearly 2 weeks, and even then, no sign of the 2 year civil war, chemical weapons used on civilians or the threats of international intervention. Just your same ole award ceremonies, Bashar busy at his desk and the beautiful Asma, hugging kids and cooking for the poor. The last presidential tweet left the fingertips of team Assad 3 days ago, babbling about some visit of a Yemen delegation. While the world decides not to wait for him to explain why he felt it right to gas people, Assad gives an interview to Russian news site Izvestia complaining about terrorism and explaining the Geneva Convention articles and at the same time, using his and his minority of supporters’ social networks, reassuring all of us crazy people around the world, that the streets of Damascus have never been livelier. Seriously Bashar, WTF? Yesterday morning, I was out for brunch with a group of friends when I received a text message from my army unit asking me to be prepared for reserve duty should there be a need, and although I replied diligently, all I could think of is how damn wonderful life could be if it where taking place in Assad’s Facebook page. If this blog post finds its way to anyone on the Syrian side suffering from the Assad Family’s game of thrones, be sure that there are many in the world and yes, even your estranged neighbors who feel for your pain and wish you only the best.